Safe and Easy to Reset Administrator & User Passwords for Windows PC! iSeePassword specializes in password recovery software. Their Windows Password Recovery tool is designed to reset the user and/or administrator passwords on any computer with a Windows operating system. The program is easy to use and completely safe for the computer. Now you no longer need to reformat the hard drive or reinstall the operating system if you have forgotten your user or admin password. 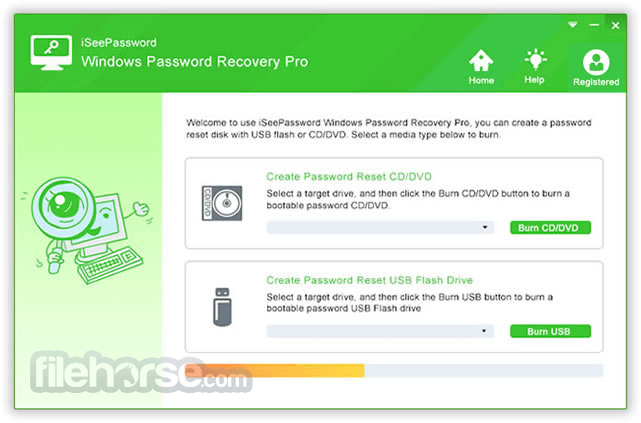 This Windows Password Recovery software will remove these passwords quickly. All you need to do is create a bootable USB flash drive, CD, or DVD and then run it on your Windows computer if you have forgotten your password. You will be given the chance to create a new account as the administrator. After that, you will be able to use your computer as normal. 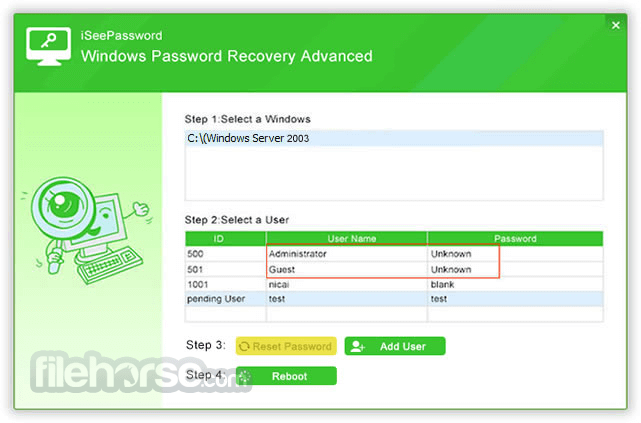 The Windows Password Recovery tool from iSeePassword is compatible with virtually all Windows versions, including Windows 2000, XP, Vista, 7, 8, and 10. It will also work with the Windows Server 2000, Windows Server 2003, Windows Server 2008, and Windows Server 2012 as well. There are two versions of the Windows Password Recovery tool available. You can choose between the Advanced version and the Professional version. They are both good versions, although one has more features than the other. However, both will still do the job of recovering your admin or user password for you. There is nothing more aggravating than trying to log in to your Windows computer and being told that your password is incorrect. The iSeePassword Windows Password Recovery tool was designed to end this frustration. It will completely delete the existing user or administrator password that is set on your Windows computer. Then you can reset it to the one you want. It just takes 3 steps to complete this process. When you do not remember your admin password, it can cause a lot of stress trying to figure it out. It is even worse if there is no other admin account on the computer and you didn’t create a reset disk beforehand. The only solutions left are to either reinstall your entire operating system or reformat all the data on your hard drive. Doing either of these options would result in you losing most or all your computer data that is currently saved to the hard drive. 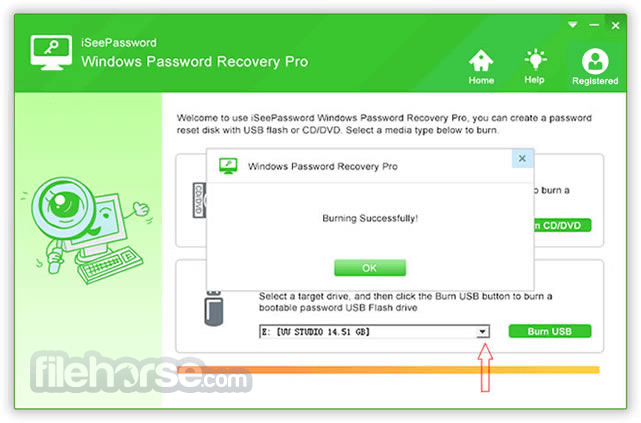 If you use the iSeePassword Windows Recovery, you can avoid reinstalling the operating system by simply popping in the iSeePassword reset disk and then resetting your password. It lets you create a reset disk by either burning its iOS image file onto a blank DVD/CD or saving it to a USB flash drive. The easiest and fastest option would be to use a USB flash drive. What Does This iSeePassword Tool Actually Do? 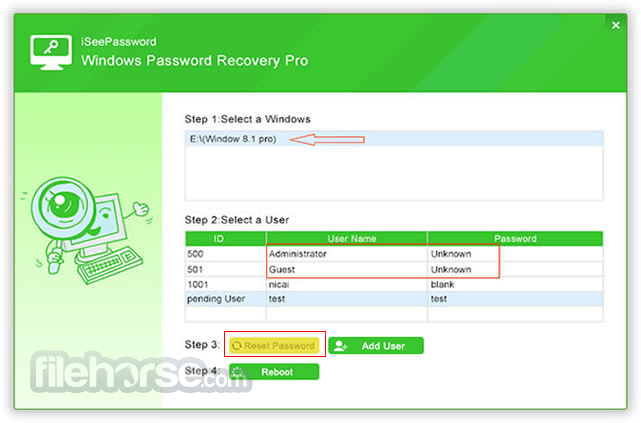 The iSeePassword Windows Password Recovery will delete the existing admin or user password on your Windows computer which you have forgotten. Then it will give you the chance to create a new password in its place. That way, you don’t have to reformat your hard drive or reinstall your operating system at the risk of losing all the data on your hard drive. This could be the password for a local administrator, domain administrator, or user. Delete user or administrator passwords on a Windows computer. Reset user, administrator, or guest passwords on a Windows computer. Compatible with Windows 2000, XP, Vista, 7, 8, and 10. It will also work with the Windows Server 2000, Windows Server 2003, Windows Server 2008, and Windows Server 2012. Reset account password for Microsoft Windows 8 or 10. Use USB flash drive, CD, DVD to create a new password. Free lifetime technical support and upgrade.